Amazon tablet release date pegged for October? The much rumoured Amazon tablet is to make an appearance this year, with the iPad rival reportedly set to make an appearance this October. It's easy to see why Amazon has an eye on the tablet market. 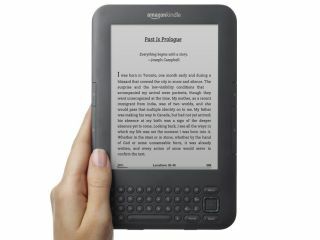 Its ereader, the Amazon Kindle was a runaway success and is still the number one product bought on its store. This type of business model seems to work and it's likely that Amazon won't change it for the launch of tablet – which means it will probably get a US release first, with the UK market to follow. For a tablet to work properly, it needs an eco-system and Amazon has this with the Amazon Appstore and its close links with LoveFilm. With all the apps on the Appstore currently based on Android, it makes sense that it would use the Android Honeycomb OS and offer a direct link to its own Appstore (which seems to be getting a number of exclusive apps) and the original Android Market. The Wall Street Journal is reporting that the Amazon tablet will have a 9-inch screen and the first model will be outsourced, while a second model will be designed in-house and released later in 2012. A number of new updates will also be coming to the Kindle, according to the WSJ, including touchscreen controls. The WSJ is keeping its sources close to its heart on this, but as rumours go an Amazon tablet is a rather safe bet.